In combination with prescribed medications, dietary modification and nutritional supplementation for individuals with inflammatory bowel diseases addresses nutritional deficiencies and can improve symptoms. 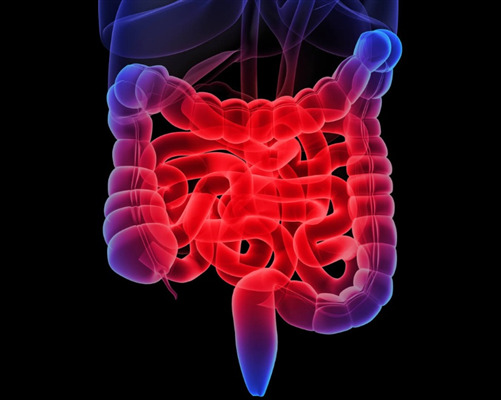 The two main inflammatory bowel diseases (IBD): Crohn’s Disease and Ulcerative Colitis, can cause a wide range of symptoms, but most commonly result in diarrhoea, weight loss &/or growth failure, malnutrition, anaemia, food intolerances and bowel obstructions. Diarrhoea can result in malabsorption and loss of nutrients and fluids. Long lasting and/or severe diarrhoea is likely to be accompanied by electrolyte depletion and dehydration. Diarrhoea should be treated to prevent complications, seek advice from your pharmacist for an appropriate option. Soluble fibre such as psyllium husk can be beneficial, due to its fluid holding properties that will help to bulk stools. Symptoms such as abdominal pain, bloating, nausea, vomiting, diarrhoea and loss of appetite will likely compromise nutritional intake. Prevention of weight loss and in particular, prevention of muscle loss, will allow optimal health and healing. IBD may occur in children and adolescents, therefore any indication of growth failure must be addressed. Appropriate nutritional supplementation may be warranted to provide the extra nutrition required to promote growth, weight gain or weight maintenance. Seek advice from your accredited practising dietitian (APD) regarding supplements and an appropriate nutrition interventions. Malnutrition is a potentially serious consequence of damage to the absorptive layer of the gastrointestinal tract. Malabsorption of vitamins, minerals, proteins and fats may result in nutritional deficiencies, which will compromise healing and may result in further exacerbation of the disease state. Replacement of these nutrients is essential for health and individual advice from an accredited practicing dietitian (APD) is recommended. Anaemia results from poor oral intake and/or compromised absorption of iron, and other nutrients essential for iron uptake; such as B12, C and folic acid. An inflamed or damaged intestinal tract results in compromised absorption. Intestinal bleeding may also result in significant iron losses. Please refer to our Fact Sheet on Iron Deficiency and Anaemia further information. Food intolerance occurs more often in individuals with IBD than in the general population. Lactose and gluten intolerances are not uncommon in individuals with IBD although should not be unnecessarily eliminated from the diet. Lactose intolerance may be temporary during the inflammatory stage, due to the damaged intestinal lining, and resolve upon disease remission. Consult an accredited practising dietitian (APD) if you wish to investigate food intolerances. Bowel obstruction may occur due to inflammation, strictures and swelling of the gastrointestinal tract, resulting in compromised movement of food through the intestines. To minimise the risk of bowel obstruction food should be chewed thoroughly and highly fibrous plant foods such as potato skins, cauliflower stalks, and grapefruits should be limited if bowel obstruction is a possibility. Please discuss any concerns with you pharmacist. Dietary factors that may trigger a relapse of IBD in an individual include alcohol or excessive sugar. Nutrients that modulate the inflammatory and immune responses of the body include omega 3 fatty acids and vitamin D. Consuming a diet rich in omega 3 fatty acids is highly recommended, in conjunction with adequate Vitamin D from sensible exposure to the sun or a supplement as needed. The balance of healthy/unhealthy bacteria in the gut can play a major role in IBD. Prebiotics assist with the multiplication of healthy bacteria in the gut and help to prevent the overgrowth of other bacteria. Probiotics are used to re-establish beneficial healthy gut flora, and are be studied for their potential benefits in IBD among other conditions. Small, frequent meals may be better tolerated than three large meals, along with thorough chewing of food. Improving nutritional status is a major goal of IBD. Optimal nutrition can assist in inducing remission and promoting overall good health. Be sure to include a wide variety of nutritious foods in your diet, avoid foods that are poorly tolerated by you, and supplement your dietary intake as professionally prescribed. References: Shanahan F (2000), Probiotics and inflammatory bowel disease: Is there a scientific rationale? ,Donohoo E et al (2006) June 2006 Mims annual; Escott-Stump S Nutrition and Diagnosis-Related Care. Ed 6; Escott-Stump S, Mahan L K. Krause’s Food & Nutrition Therapy. Ed 12.